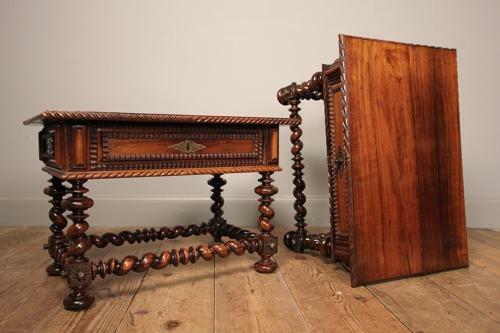 A highly collectable pair of hand carved solid Rosewood Indo Portuguese tables, having a single drawer with moulded panels to all 4 sides. Raised on a twisted carved legs with adjoining stretchers. Super condition throughout with good colour. Portuguese, Circa 1880. These tables are perfect to be used either side of a sofa or as small coffee tables making your chosen libation within easy reach!